NJBIZ hosts its March panel discussion: Substance Abuse in the Workplace, on March 26 at the Doubletree by Hilton Somerset. The opioid epidemic has reached crisis level in New Jersey. Positive testing rates have also increased among active employees for cocaine, methamphetamines and marijuana. So what can employers do to maintain a healthy and drug-free workplace? 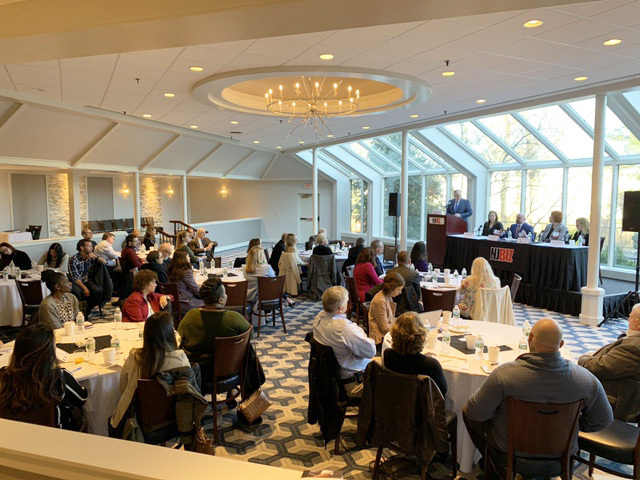 A group of experts provided practical insight and advice on how to establish and maintain a drug-free workplace at the Substance Abuse in the Workplace Panel Discussion on Tuesday at the Doubletree by Hilton Somerset. 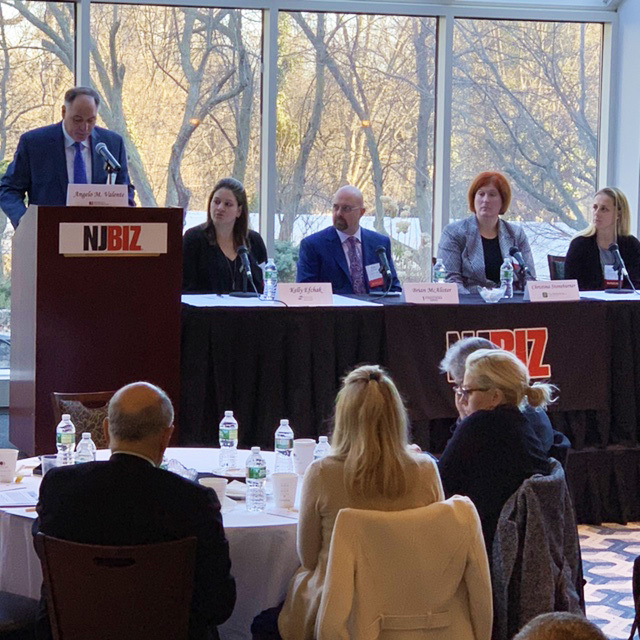 The discussion presented by NJBIZ, addressed a wide range of issues from current testing policies to insurance coverage. Panel moderator Angelo Valente, executive director of Partnership for a Drug-Free New Jersey, queried experts on how substance abuse in the workplace effects the bottom line. Kelly Efchak, community relations manager at Retreat Behavioral Health, a primary substance abuse and mental health facility in Lancaster County, Pa., stressed the importance of developing a drug testing policy. “If you are going to have a drug testing policy you should have a written policy. In New Jersey you are allowed to have drug testing policies but you are very limited on when you can do random testing,” said Efchak. She said that it is also important that supervisors are aware of the cost of drug use in the workplace so productivity issues are key. Educating supervisors and human resource personnel is essential so they can inform employees if leave options are available for them to attend treatment. Brian McAlister, president and chief executive officer of Full Recovery Wellness Center, a New Jersey-based ambulatory care center, and Freedom 365 Virtual Recovery System, pointed out that drug addicts use seven times the health insurance than someone who does not use drugs. “It is an incredible cost to any business and it results in a drop in productivity. The high cost to the business community is not something that is typically known,” said McAlister. When it comes to the signs and symptoms of substance abuse Dawn Belamarich, executive director of Recovery Centers of America – Lighthouse Mays Landing, said it is important for employers to ask several key questions including: What am I looking for? How do I know if someone is struggling? “You should look for changes in behavior, if someone is calling out frequently or taking more time off to go to the doctor. Also look at an employee who was very productive and is not anymore,” said Belamarich. Eighty-five percent of people who need treatment in New Jersey do not receive it, she added. NJBIZ hosts its March panel discussion: Substance Abuse in the Workplace, on March 26 at the Doubletree by Hilton Somerset. From left, Angelo Valente, Kelly Efchak, Brian McAllister, Christina Stonebruner and Dawn Belamarich. Christina Stoneburner, partner at Fox Rothchild, said that it is very important especially if you have a reasonable suspicion-testing program, that supervisors are trained on what they are looking for. “I tell supervisors and managers to look for changes in behavior. Not just the obvious symptoms like odor from alcohol or dilated pupils. Oftentimes it’s a steady progression. You notice over the weeks that there has been a slip in performance,” said Stoneburner. In New Jersey, said Stoneburner, any employee can be drug tested. For pre-employment testing, you have to be consistent. You cannot pick and choose. Stoneburner also said that you also have to have a formal program that says you are going to test every applicant for a specific position. For random testing, there are federal regulations. For example, for Department of Transportion drivers random testing is required. Random testing can also be done if someone is in a safety-sensitive position like those who operate heavy machinery or work on a production line where there is a well-defined risk of harm to themselves or others. While there are a variety of outpatient and inpatient treatment options available to New Jersey residents, the goal, said Belamarich, is to help people get well and stay well. “It’s a full continuum, whatever creative ways we can work with that individual so they can return to work and maintain sobriety and recovery,” Belamarich concluded. Panel members concurred that while it is important to educate employees about what is covered in terms of benefits – they agreed that the current state of insurance coverage for substance abuse is inadequate. She said that more people are aware that there is an opioid epidemic and almost everyone knows somebody who has been impacted by addiction.